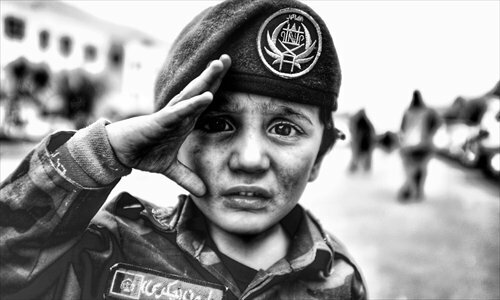 An Afghan child that US tourist John Milton met during his travels in Afghanistan reacts to the camera. Irish tourist Jonny Blair (right) takes a photo with three Afghan men during his travels in Afghanistan. Thousands of people are fleeing the conflict roiling Afghanistan, but American backpacker John Milton recently made the reverse journey to the war-ravaged country - for a holiday. "[My] family and friends think I am a fool to take such risks but ... if you are not willing to risk the unusual, then you will have to settle for the ordinary. I just don't want to die without having any scars!" The owner of Hinterland Travel, a Britain-based adventure travel agency which reportedly organized the tour, was also said to be among the injured and was pilloried for what was widely perceived as recklessness. He was not reachable for comment. But warzone tourism is hardly limited to Afghanistan. In 2013, Japanese trucker Toshifumi Fujimoto, bored with his humdrum job, jaunted through the war-torn Syrian city of Aleppo, telling AFP that his previous adventures had taken him through Yemen among other Middle East conflict hotspots. Such tourists are the exception rather than the norm, said James Willcox, founder of another England-based adventure travel operator Untamed Borders, which organizes trips to Afghanistan, Somalia and Somaliland. "One of the main reasons people come on our trips ... is to [see] countries for the multi-faceted, complex places they are. We do not choose destinations because they are dangerous," Willcox told AFP. "Very few would come because of bragging rights in my opinion. Most people are not impressed by someone having visited Afghanistan." Afghanistan is endowed with stunning landscapes and archaeological sites, but many are located in areas plagued by insurgency. But a few areas are safely reachable by air. The ancient city of Bamiyan, famous for empty hillside niches that once sheltered giant Buddha statues that were blown up by the Taliban, is one of them. The central province, a landscape of russet-hued cliffs, was once a caravan stop along the fabled Silk Road and is currently at the center of Afghan efforts to boost tourism revenue. 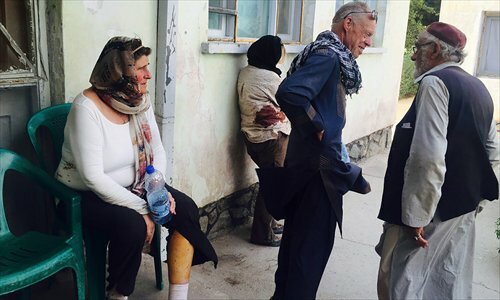 "Yes, [Afghanistan] is a risky destination but it's a calculated risk," said Milton. "If done properly then the risks can be mitigated quite well and the rewards greatly outweigh the risks - access to a country and culture that not many people get to experience." "Afghanistan desperately needs foreign tourists," ministry spokesman Haroon Hakimi told AFP, adding that 20,000 foreigners visited Kabul last year. "The economy is in shambles and this is an important source of revenue."